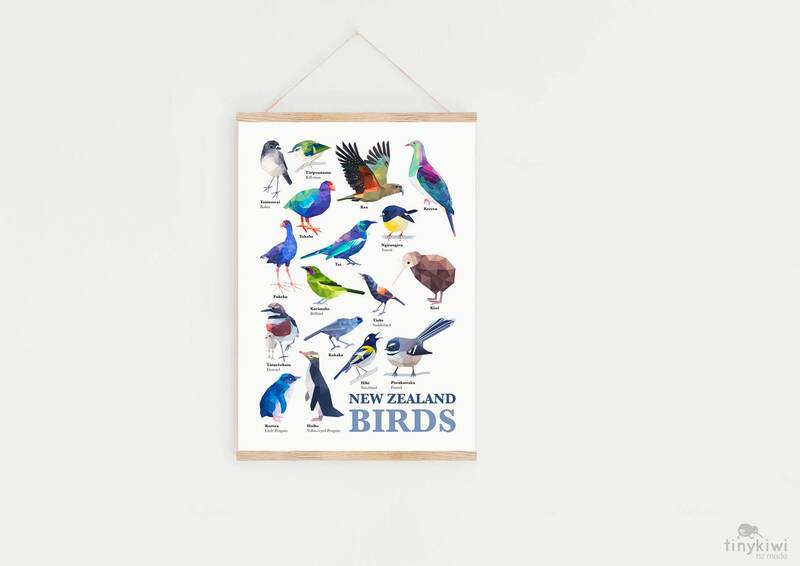 A poster featuring well known and loved Native New Zealand Birds. 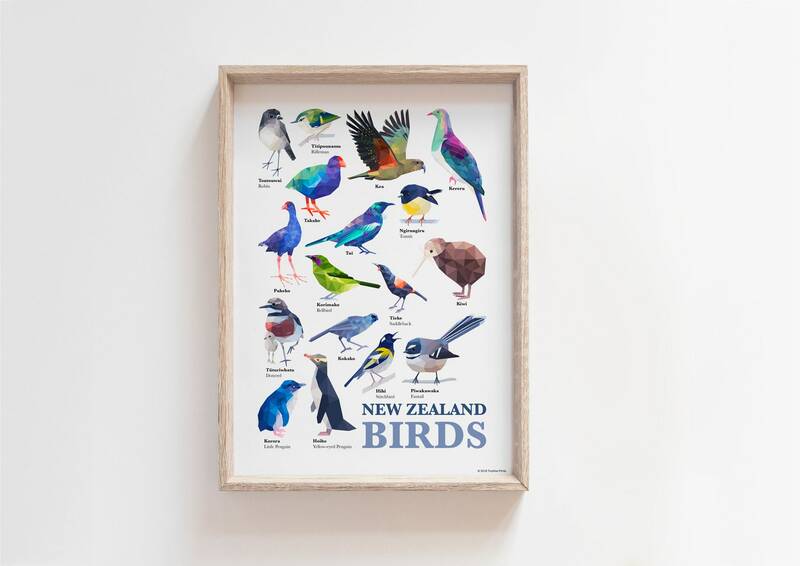 The birds included are all listed in their maori and english names. 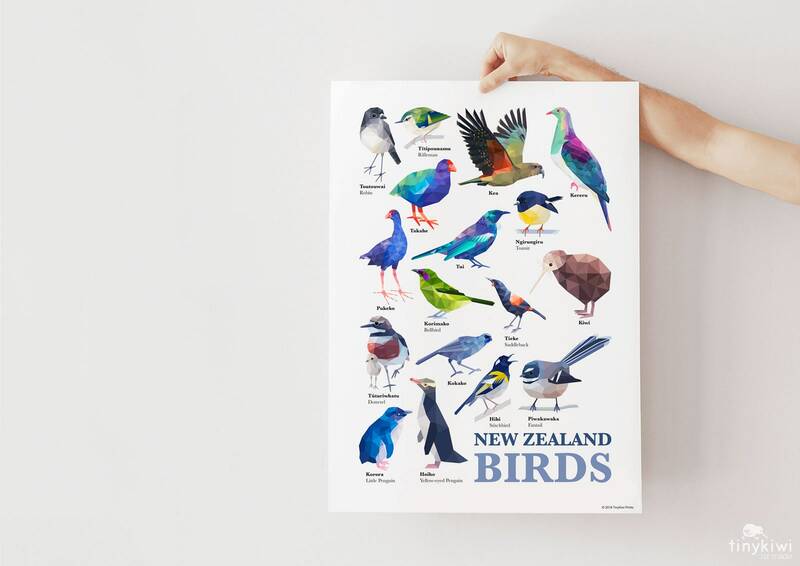 This poster would be a great edition to a school classroom wall or a bird lovers lounge. 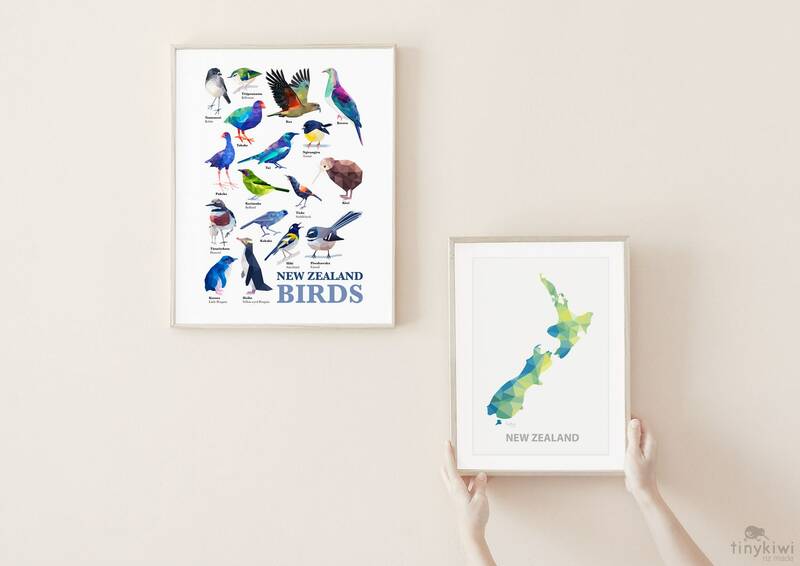 All prints are carefully packed by us between tissue paper, strong card and in a waterproof envelope. 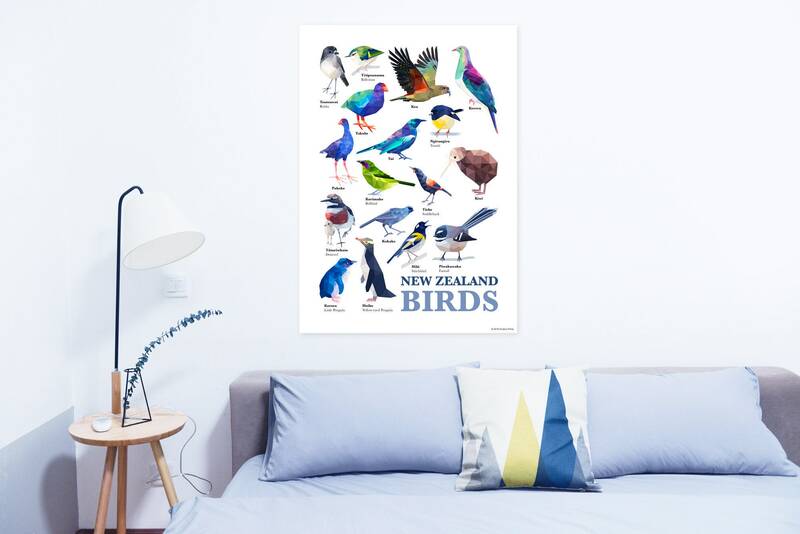 Large format are shipped in tubes.